Three children, believed to be all from the same family, were struck and killed at a school bus stop in Indiana Tuesday morning, police said. Three children, all from the same family, were struck and killed at a school bus stop in Indiana Tuesday morning, police said. The crash happened around 7:30 a.m. in Fulton County near 4600 N. State Road 25, according to Indiana State Police. Authorities said the children were at the bus stop on the west side of the road and the stop-arm on the bus was out when a pickup truck hit and killed the kids. An 11-year-old boy was also injured in the crash and airlifed to Parkview Hospital in Fort Wayne where his condition was not immediately known. Police said the children killed were all from the same family. They were identified as twin brothers Xavier and Mason Ingle, both 6 years old, and their 9-year-old sister Alivia Stahl. "Obviously that compounds this situation even more," said Sgt. Tony Slocum with the Indiana State Police's Peru District. "I just can't imagine the pain that family is going through. The one thing I'd like to tell people - we all have a responsibility to share the road in a safe manner. I don't know why this crash - why this person did not see the stop arm extended but we all need to pay a little more attention because it's all our responsibility to make sure our children get to and from school safely." There were no children on the school bus at the time of the crash. 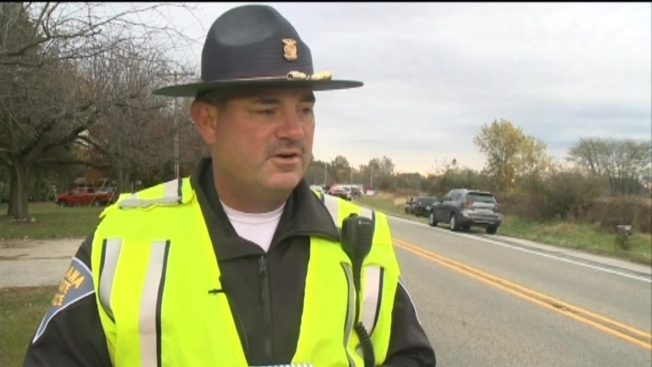 Tippecanoe Valley School Corporation said all four children struck were students. "Our school corporation has suffered a tragedy this morning," the group said in a statement. "We have learned of three student fatalities and one student seriously injured and airlifted to a Fort Wayne hospital as they were hit by a vehicle while boarding their bus. We have deployed all school counselors to meet the emotional needs of our staff, students and parents. We are awaiting to learn more confirmed details but wish to ask the community to come together to pray for the families, our students and our staff." One witness said her grandchildren were supposed to be at the bus stop as well but a last-minute change of plans kept them from being at the scene. "I knew something bad happened," she said. Police were interviewing the woman who was driving the pickup, but no charges had been filed as of Tuesday afternoon. The accident happened near Rochester, about 100 miles north of Indianapolis.